The Hallite E2W is a double-acting, o-ring energized, rod wiper/excluder designed to include two different unique wiping lip geometries. The two lips combine to scrape debris from the rod and contain residual oil on rod extension, as well as allowing oil to pump back into the cylinder. The o-ring energizer provides the force necessary to maintain the engagement of the wiping lips against the sliding surface and allow the wiper to adjust for deflection. Typically made from exclusive Hallite Armorlene® materials, this seal is capable of high-speed applications and eliminates any potential for stick-slip. High-performance Armorlene® materials, like HLX, provide outstanding wear and scraping capability as well as large range of temperature and media compatibility. The Halite E2W works well paired with rod seals that support the requisite dynamic pressure pump-back, like the Hallite R16 rod seal. When paired, they produce a sealing system capable of handling higher speeds, large range of fluid compatibilities, and temperature range of service. 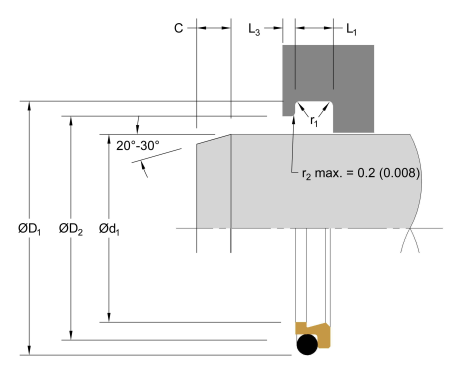 For other rod seal arrangements with E2W, it is necessary to make sure the rod seal will provide proper pressure pump-back, or alternatively vent the system. 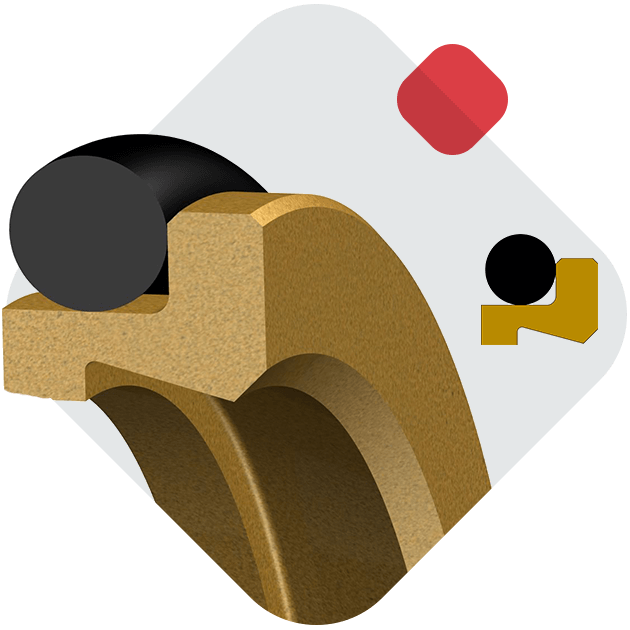 Hallite recommends proper guidance be used with this seal in heavy-duty applications (see Hallite Bearings section). This seal is available in a variety of Hallite’s high-performance Armorlene® and Hythane® materials to suit a wide range of demanding applications. 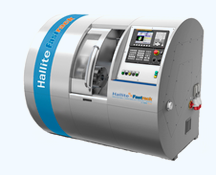 *See Hallite 87, 506 or 533 bearing data sheets. The part numbers listed below only show standard material options for both the face seal and energizer, where applicable. For a complete list of the material and energizer options along with part numbering structure, please see the complete PDF datasheet or click E2W Data Tables.